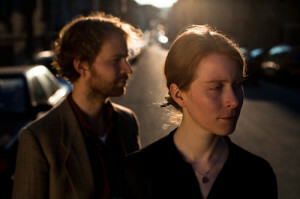 Alt folk singer songwriter duo Max & Laura Braun are siblings. Born in Germany, they started making music together in their early teenage years. But life has since separated them. While Max stayed in Germany, Laura up and left in the late 90s to make London her home. During the following years they only occasionally managed to play and sing together. Finally however, in the rainy late summer of 2008 this changed. Max & Laura spent a few days in one of their favourite places, a little village in Dorset, England, writing their first new songs again after almost ten years. The songs that emerged from this trip, called the “Dorset Songs“ were recorded shortly afterwards as a demo and marked the beginning of Max & Laura Braun as a solid musical project. Since then Max and Laura have written more and more songs, have acquired a band and started gigging in Germany as well as in the UK. Their music has grown, darker, fuller and more diverse in it‘s influences since those simple “Dorset Songs”. Percussive drumming, melodic bass lines and shimmering pedal steel sounds ad facets beyond folk to Max and Laura‘s guitar playing and vocals that sit together so smoothly like perhaps only those of a brother and sister can. In late 2011 Max & Laura recorded their first full length Album “Telltale” with their band in the little village of Plüderhausen near their home town of Stuttgart in Germany. It is a collection of songs full of longing, melancholy and defiance which nonetheless carry an air of optimism leaving the listener with great warmth.